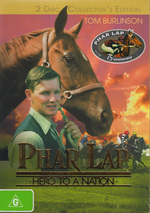 Portraying the history of the horse that most thought would never succeed, the epic movie moves from the early days when trainer Harry Telford and strapper Tommy Woodcock were the only ones to believe in his potential, to his Melbourne Cup win in 1930 and to the great horse's untimely death in the USA. Starring Tom Burlinson (The Man from Snowy River,). Directed by Simon Wincer (Free Willy, Lightning Jack, The Phantom). Written by David Williamson (Gallipoli). Just as Phar Lap was not simply another racehorse, this is not simply another racing video. For within lie the secrets of a genuine Aussie hero, featuring footage previously unseen by the public of the greatest thoroughbred there ever was. 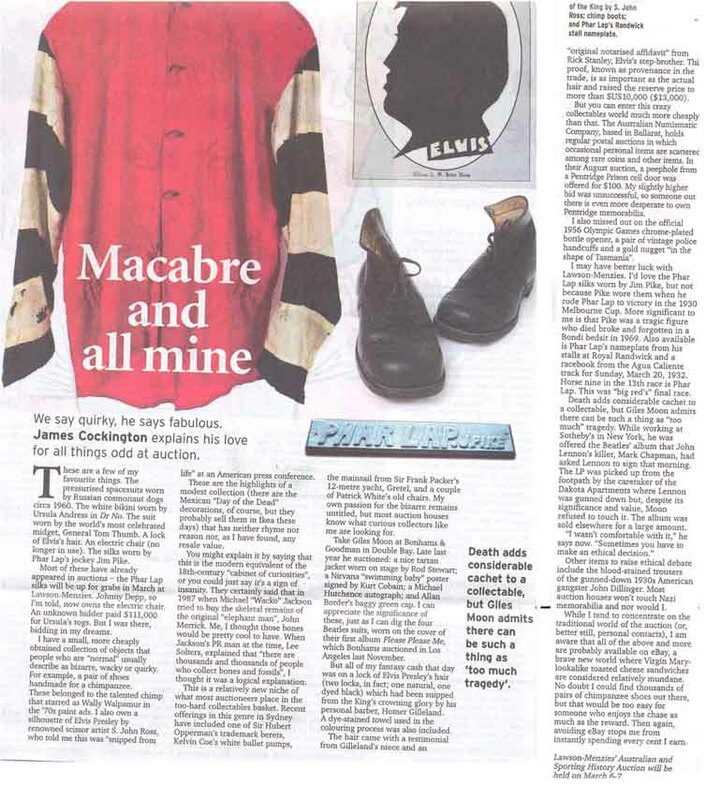 Dare to become spellbound as the ghosts of Tommy Woodcock, Harry Telford and American businessman David Davis, among others, stir in the most revealing and emotional tribute to the phenomenon that was-and-is Phar Lap. Main Menu Introduction, Menu Animation & Audio, Audio Commentary-Simon Wincer (Director), Audio Commentary-Tom Burlinson (Actor), Audio-Only Track-From The Horse's Mouth: Tommy Woodcock's Phar Lap Memories, Gallery-Phar Lap 75th Anniversary - The VRC Tribute (Montage), Notes-The Phar Lap Story, Featurette-The Mighty Conqueror, Featurette-Phar Lap's Last Race, Gallery-Photo, Theatrical Trailer-2, Teaser Trailer-4, Gallery-Music Montages-Centennial Park, Fame.